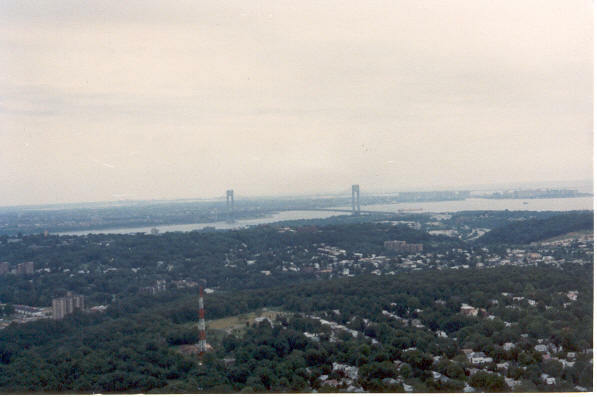 The Verrazano Narrows Bridge between Brooklyn and Staten Island. It costs $7.50 round-trip to cross it - exhorbitant tolls are one of the "pleasures" of living in NY. April 2005 Update: The toll is now $9.00 - how long will motorists allow themselves to be bled before we make an issue of this?